One hundred and twenty-five years is a long time to nurse a crush. That's how long it's been since Beth Argenis first met Cullen "Scotty" MacDonald and he instantly became the star of her most X-rated dreams. Back then he was rescuing her from a Rogue Immortal. Now Beth's a Rogue Hunter - a damn good one. She doesn't need saving anymore, despite what Scotty thinks. What she does need is the fierce, wild desire that finally erupts between them. He is the most notorious laird of Scotland: fierce, cold, deadly...and maybe even worse. Yet Evelinde has just agreed to wed him. Anything, she thinks, is better than her cruel stepmother. Though Evelinde should be wary of the rumors, she can't help but be drawn to this warrior...for the Devil of the Highlands inspires a heat within her that is unlike anything she has ever known. They may call him whatever they wish, but Cullen, Laird of Donnachaidh, cares only for the future of his clan. He must find a wife, a woman to bear him sons and heed his commands. He has no need for beauty or grace, but one taste of his lovely bride's sweet lips and the sultry feel of her skin arouse an untamed passion. Perhaps there's more to marriage than he thought. The story is ok... if you are looking for something very simple to listen to. Thought the story is fun, the narration is just about the very worst I've ever heard. It's like being read to by a depressed Scottish Eeyore... slow, monotone, and over-enunciated in weird ways. Made me want to scream. Although the book is a good one the narrator reads in such a monotone voice that I could not stay focused on the story. Buy the paperback or ebook instead. I enjoyed the plot and Sands's writing style, as always. I find her characters compelling and the situations they find themselves in humorous, and she has a way with the love and romance, too. The narrator DID take a little getting used to because of her somewhat-monotone delivery and her interesting accent. However, I liked her, once I was used to her voice and style of delivery. I wouldn't name her as "Audiobook Reader of the Year" because of the monotone quality, but she wasn't completely awful, in my opinion. 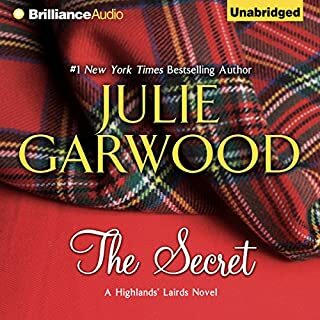 She did attempt to use different voices for different characters, and her Scottish accent lent a great deal of authenticity to this book (in regards to it being set almost completely in Scotland). Except for trying to weave a little more liveliness into her style, my only other suggestion would be for the dialogue spoken by English characters (Evelinde and Mildrede) be read with an English accent (and all the way through the book, not just here and there) while switching back to a Scottish accent for the Scots. The lack of appropriate accents didn't ruin the audiobook experience for me, but it would have made it a touch better. 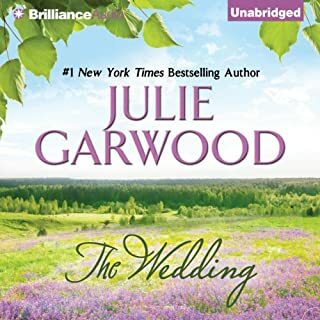 However, being such a fan of this author, I will not hesitate the buy the audio version of TAMING THE HIGHLAND BRIDE, which is also read by Marianna Palk. As I said earlier, I can be certain that I'll enjoy it, no matter what. No one - die hard fans maybe, they might be able to hear the humor behind the dreadful narration. What other book might you compare Devil of the Highlands to and why? Most of Lynsay Sands books as long as they are not read by amateur narrators. Check the producers and they have done any other books, also check the narrators for other books and reviews. Yes. The narrator was obviously an amateur as it seemed that she was using the finger pointing technique, I also believe this to be the case due the numerous hesitations and missed words. Punctuation was all over the place leading to confusion of what was actually going on. They, the narrator and producers, seem to have little understanding of the humor in the book leading me to believe that the producers and their chosen narrator had not read the book prior to recording it. The narrator's accent was lovely and gentle however the inability to be consistent with characters voices was horrendous. Sadly it was very hard to understand the story and I had to concentrate very hard to have my usual laugh when listening to a Lynsay Sands's book. I listen to a lot of Audiobooks from many different Narrators and Producers, I have only run across one book that was so poorly narrated. I think that Authors and their Agents need to have legal recourse over the publication of Audiobooks. This Audiobook is a clear example where a fun book is turned into a very bad product. This reflects directly on the author and will have an impact, however slight,on their reputation and on their current and future sales.Yes this is a harsh review and some reviewers were OK with the narration however I as far as I'm concerned this is a poor product in relation to all but one of my Audible purchases. Preface: I am a Lynsay Sands fan. I like her humor and her way of story telling. Story: I found myself laughing out loud many times in this story. Without many spoilers, the situations that the characters find themselves in were nicely orchestrated. Good times. Reader: I liked the Scottish burr, but it wasn't consistent. She was pretty monotone and did not use consistence voices for the characters, although sometimes it seemed like she tried. 3 out of 5 for reader, although, she didn't stop me from listening to the story. I seem to be in the minority here, but I particularly enjoyed the narrator. There was occasional inconsistency in the character voices, but over all it was lovely to listen too. She has a distinct Scottish accent which added to the story. I'll admit that I read and enjoyed this book before getting the audio book, and I enjoyed it very much, but I am a fan of Lynsay Sands' books. I really loved the story and only finished the book because of this but the Narrator voice was awful ! Her voice made me think of a school child reading for the class. Very disappointing! The story of this book kept me interested enough in the book to put up with the terrible narrator. She has a very interesting accent but she is very monotone.Narrator needs new day job. Narration was so awful I couldn't stand to complete the audio. liked the story but hated the audio. it started good, then went to bad and finally the down right torturous. if you need a manual read she's the right one.